sailboat. : Remember to turn on the light. The world works in mysterious ways sometimes and although I'm a firm believer that everything happens for a reason, sometimes understanding those reasons aren't as easy as you'd like them to be. For a little while I had been struggling with how to even begin to be okay with losing something I didn't even know I had and the consequent realisation that I didn't even really know I wanted it until I'd lost it. Confused? Don't worry, I am too. I don't feel sad or angry or bitter, well I did at the time, but not anymore. Now I'm mostly just confused. But also oddly positive and uplifted because now I know that if one day I'm lucky enough to have it again, it'll probably be the best time of my life, ever, and I can treasure it and enjoy it without having to worry if it's the right thing. Because it will be the right thing. And not having to worry about things like that makes everything about a million times easier. I have had what I think are the exact same feelings hun, I hope you're ok. I realised that it probably happened for a reason, and after getting over the pain and sadness that it was probably the best thing. It made me think about my future and how / whatg I want in the future, when things will be more suited to the outcome. Well, that's why it happened - you lost it so you'd realise it and now you know if it comes back just to embrace it and not over analyse :) something I should probably learn! 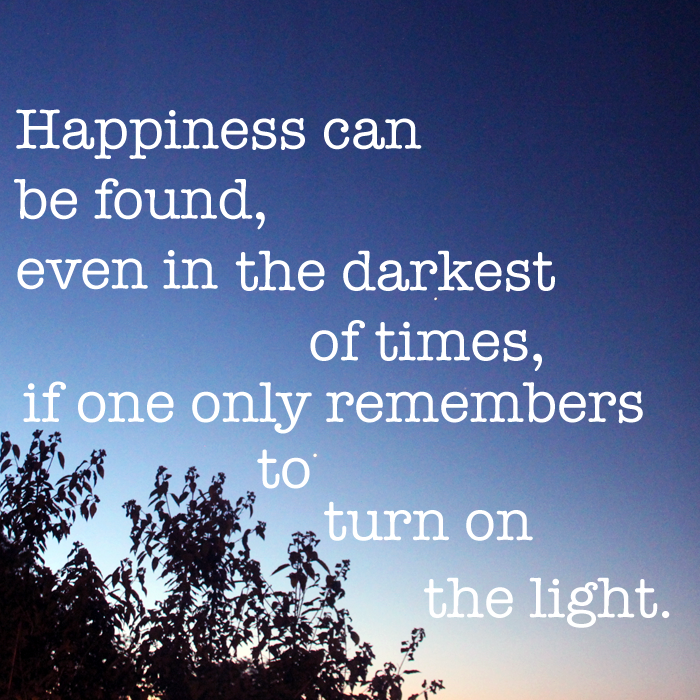 This is possibly my favourite part of Harry Potter - such a beautiful, true quotation. I hope everything's okay Jennie, all we can do is muddle through and trust that everything will work itself out in the end. Best Harry Potter quote EVER. I hope everything is ok, big hugs! I am a firm believer that everything happens for a reason and it will be ok, even though it doesn't seem like it at the minute. Love that Harry Potter quote! I hope your okay. Its hard when you realise these things, life can be a bit crappy at times but remember nothing ever stays the same things can get better. Your being strong and I'm sending lots of love. I understand all too well! I hope you're doing okay Jennie! I feel like I've had simialar feelings to this, and I'm glad your dealing with it okay. You're right, things work in mysterious ways - something things end up totally different than what you thought. I've been in some pretty rough places too in the past, but the knowledge that there are no ups without downs has always kept me going. And like the quote says: in the morning you've got to decide what kind of day it'll be - sure you can't turn off sadness and you can't wipe out bad things that happen, but you can try to force a smile and hope it'll stick on you for a while and make everything better. And of course: friends. Lean on them and let them patch you up when you're not capable of doing it yourself. So true. I hope you're okay poppet! Time has a wonderful way of showing us what really matters. I find the books so inspirational and even though tehy're technically children's books, they're highly philosophical and have immensely shaped my look on the world!